Update: Coupon code expired, sorry! 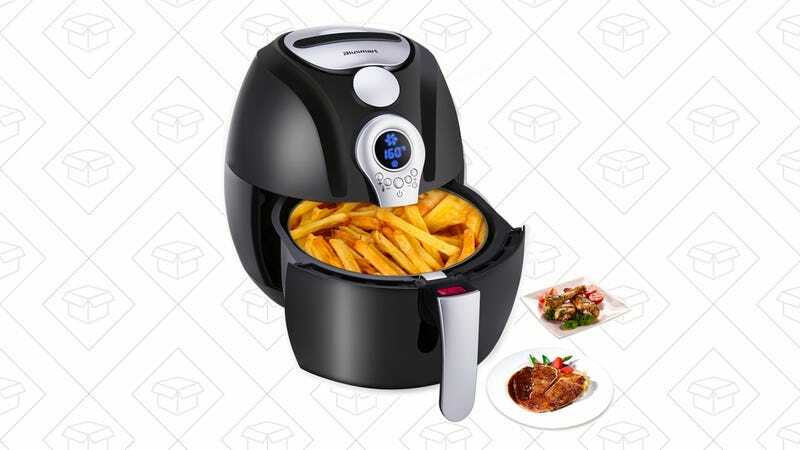 This air fryer is just $8 more, and has a 4.5-star rating. 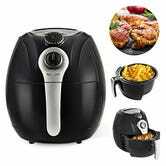 This $60 air fryer (with promo code 777HYPUA) circulates hot air around your food, achieving golden, fried crispiness with up to 80% less oil. This model has a temperature range between 170 and 400 degrees, and is ideal for cooking chicken wings, roasted veggies, and, most notably, french fries. Just imagine, you can add the perfect amount of salt, and won’t have to wait in line at the drive-thru. So, what are you waiting for?